Two fantastic experiences in one. 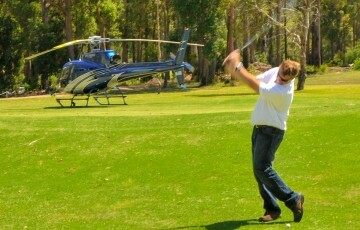 The unique thrill of a helicopter flight and the breathtaking views of the Illawarra from above. 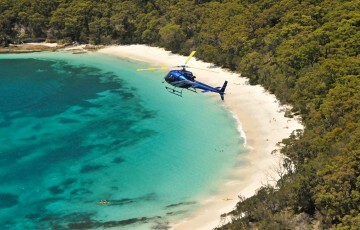 Fly over the blinding white beaches of Jervis Bay. Then R&R at Silo’s Restuarant. 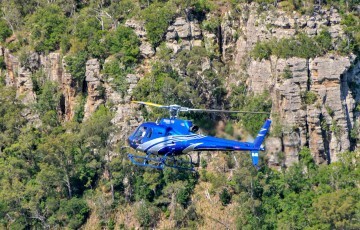 Return via the rugged mountain ranges of the Illawarra Escarpment. Exhilarating scenery from the air, inviting and relaxing locations on the ground, food beer and wine to content every palette. 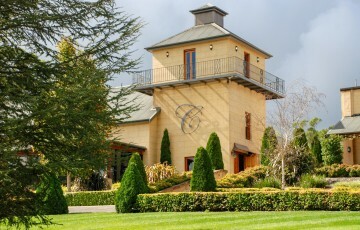 A full day itinerary exploring some of the most spectacular mountain scenery you will find anywhere in Australia; including three stops to catch your breath and sample the Illawarra’s finest offerings in wine, beer and Australian cuisine. 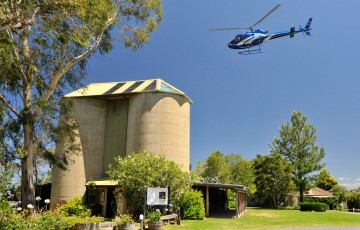 Fly from Wollongong to Silos Estate Restaurant. A coastal scenic flight one way and rugged mountain terrain, majestic waterfalls, ominous gorges and dramatic rocky cliff faces on the way back. See the rolling foothills of the historic Kangaroo Valley, the wood and iron Hampden suspension bridge and the quaint villages of Berry and Jamberoo. 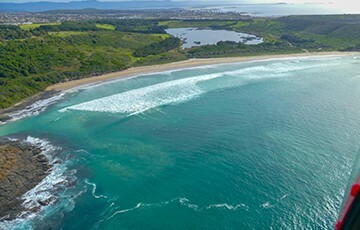 From Kiama follow the spectacular sandy coastline to the north. As the mountains converge on the coastline, at the rocky base of the shear sandstone cliffs, lies the Seacliff Bridge. Breathtaking scenery and amazing views. 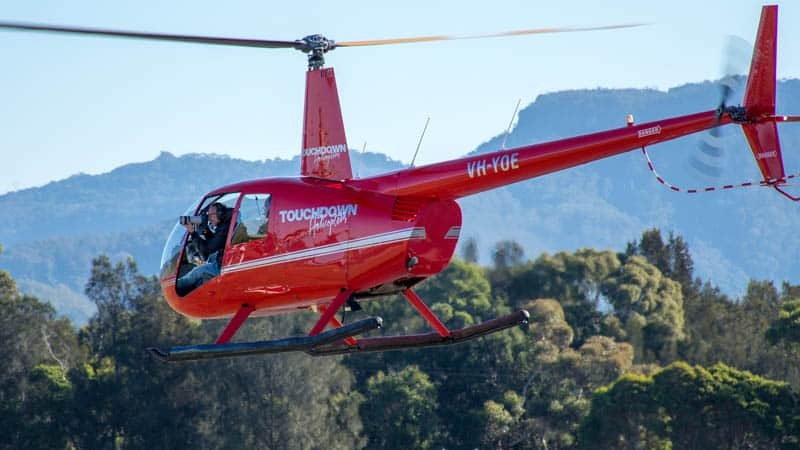 Touchdown Helicopters acquired Aerowasp Helicopters in 2016 to bring helicopter training back to the Illawarra. 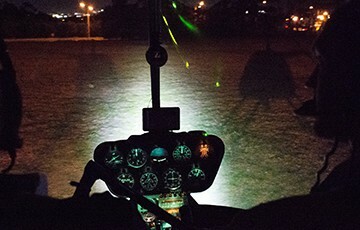 Aerowasp Helicopters now trades as Touchdown Training. 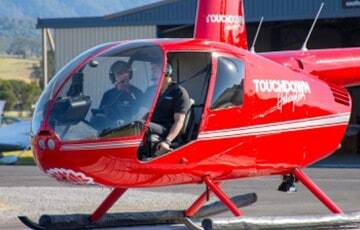 Touchdown Training offers a full range of pilot training courses for both the commercial and private helicopter pilot alike. As well as rotary PPL and CPL courses we also offer helicopter type endorsements, Instructor Ratings, Night VFR rating, Sling Ratings, Instructor Training Endorsements etc . And if you can't get to us, then we can come to you. If you would like help getting through your aviation theory exams we also have a ground school available, offering either full PPL and CPL theory courses or else customised support to get you through those theory components which are more challenging than others. A Trial Introductory Flight (TIF) can either be a one-off flight experience for some or a “taste test” for a future career for others. Whatever your reason for wanting to sit in and take control of a helicopter, it is the experience of a lifetime. Sling Load Endorsement is conducted in the AS350 Squirrel and will include up to 10 hours dual training covering Vertical Reference Flying, short, medium and long line operations. 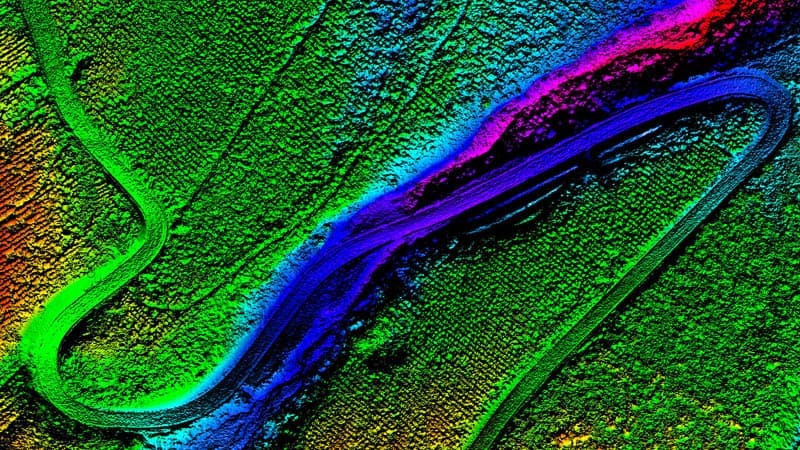 Additional considerations include equipment limitations, weight and balance issues, aircraft performance and operation. This allows you to fly for pleasure, take your mates, loved one(s), or family on flights in a private capacity. You may not however fly for hire or reward on a PPL(H). This rating allowed you to fly at night, under Visual Flight Navigation Rules. 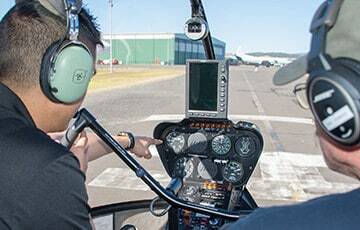 Prior to obtaining a NVFR(H) Rating, you will require either a Private or Commercial Helicopter Licence. 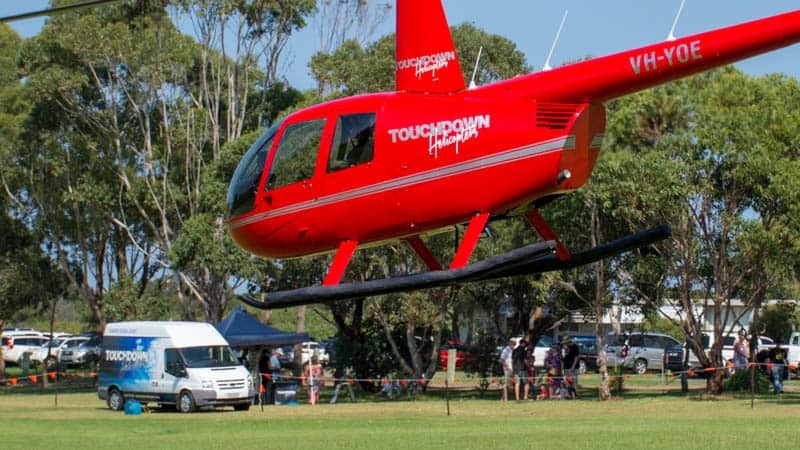 If you want to put your fundraising day on the map, Touchdown Helicopters has a fleet of helicopters available to provide joyflights for your event. No matter where you are or where you want to go, you can cut down on a lengthy road trip by taking to the skies and travelling direct, door-to-door. The fastest way to get to the airport is in a straight line above the traffic. 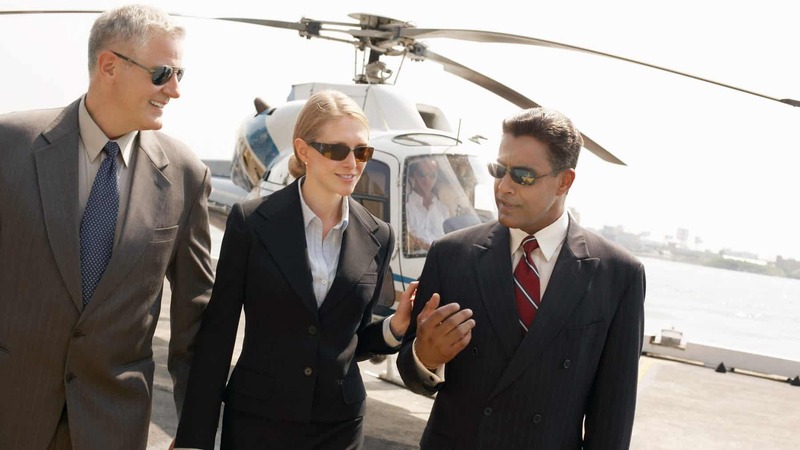 So if you want to maximise your time with family, friends or at the office before heading to the airport then a helicopter transfer is just the service you are after. When its comes to the biggest day of your life, you want everything to be absolutely spectacular and that includes the arrival of the bride. Touchdown Helicopters will make sure she arrives at the alter on time. Arrive rested, relaxed and prepared. A corporate transfer is a fast, personalised service for the busy business executive who needs to get to their destination as soon as possible according to their own schedule. And if that includes your staff team, then we have a large fleet of helicopters to get you all there, all together and all at the same time. 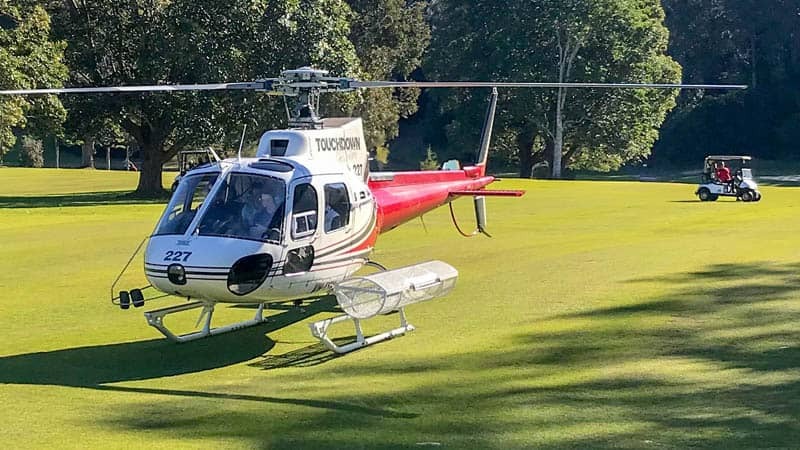 Touchdown Helicopters has many years of experience providing our helicopters as a platform for use in aerial survey and spotting applications. 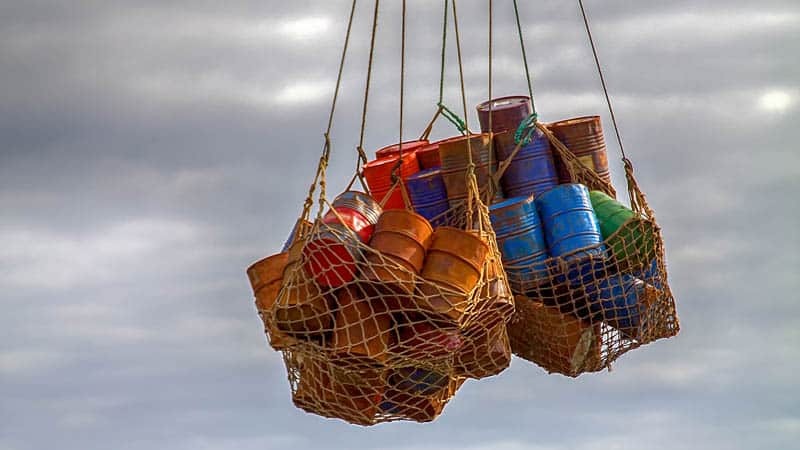 The working harbour of Port Kembla was historically the beating heart of industry in the Illawarra and now with the increased use of the port, activity is steadily making a comeback to the heights of the coal and steel industry 20 or 30 years ago. 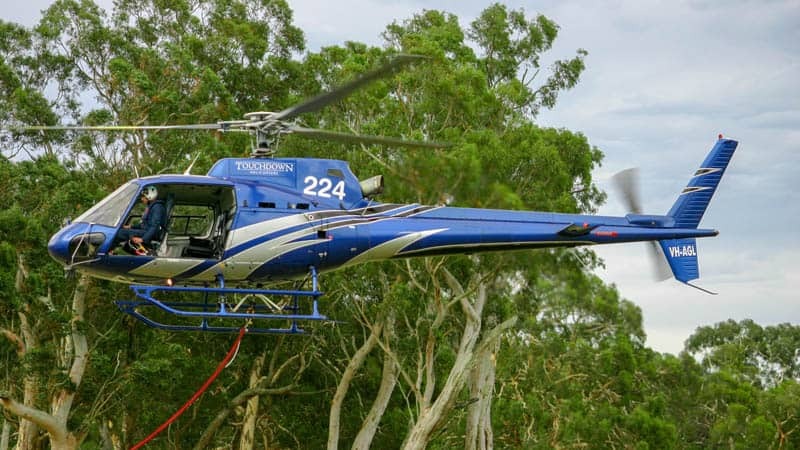 During the warmer months, when the hazard of a bush fire is greatly increased, Touchdown Helicopters has its fleet of helicopters, ground support maintenance units and 30,000L JetA1 fuel truck on permanent standby, ready to react to support the community. 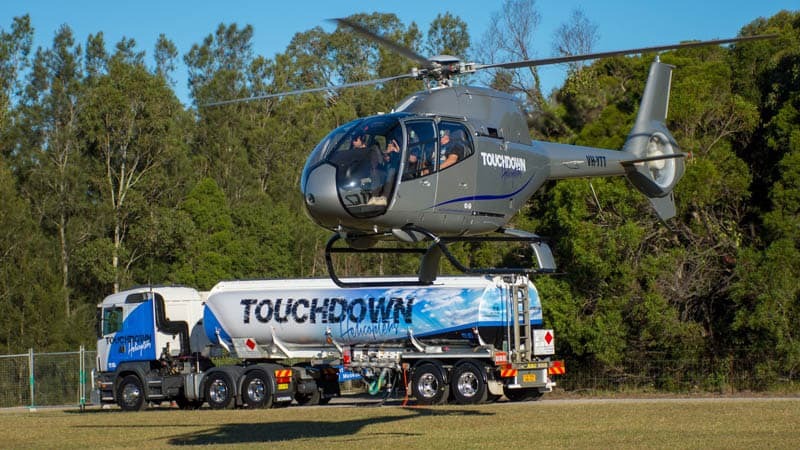 Touchdown Helicopters is able to provide a transport solution for the delivery of cargo when all other options are unavailable. 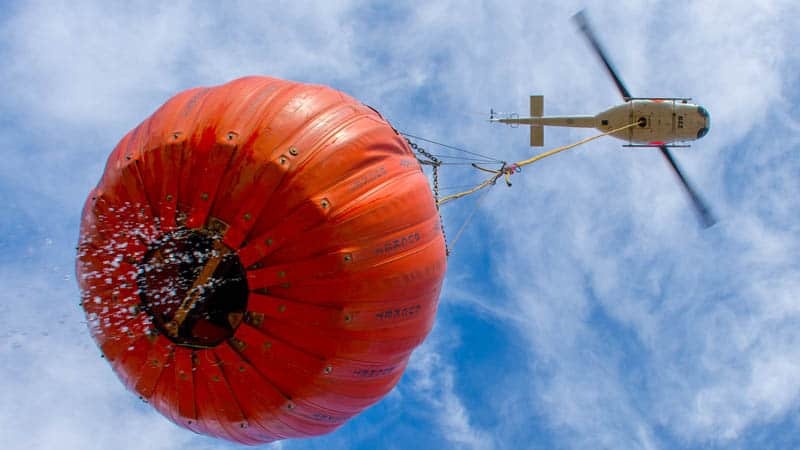 Whether delivery is required to remote locations without road access, or to communities isolated due to weather events or even if road access is unavailable due to the bulk, size and shape of the cargo, then a helicopter delivery may be the best option. New to Touchdown in 2018 is the addition to our fleet of a 30,000L mobile fuel carrying semi-trailer. This comprises a Scania R480DG prime mover attached to a Holmwood Highgate BS32 tandem axle JetA1 fuel tanker trailer. 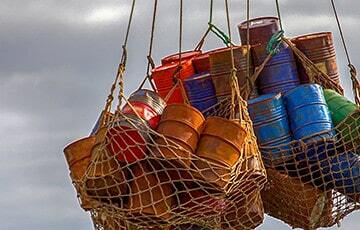 The ubiquitous helicopter is used as a work horse across a multitude of industries due its large lifting capacity. 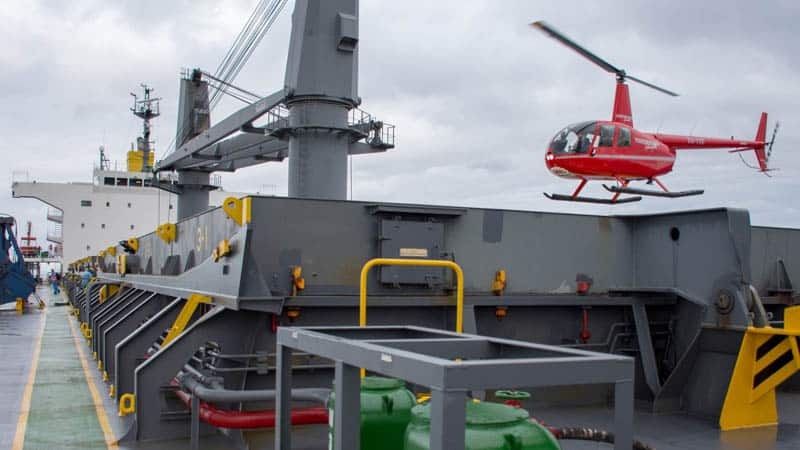 When used for industrial or commercial purposes, the helicopter will typically have a hook fitted into its underbelly which can then have various types of payload attached using a long cable or rope. 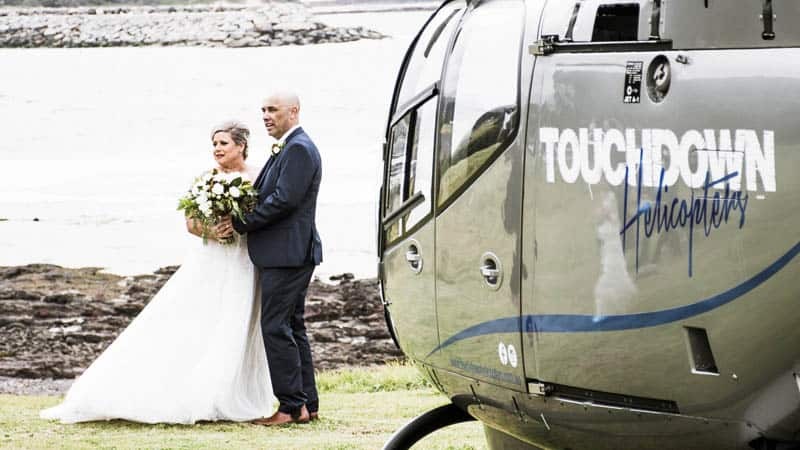 Touchdown Helicopters is a small and friendly, privately owned company, with a can-do attitude, applying professional values to our everyday operation. 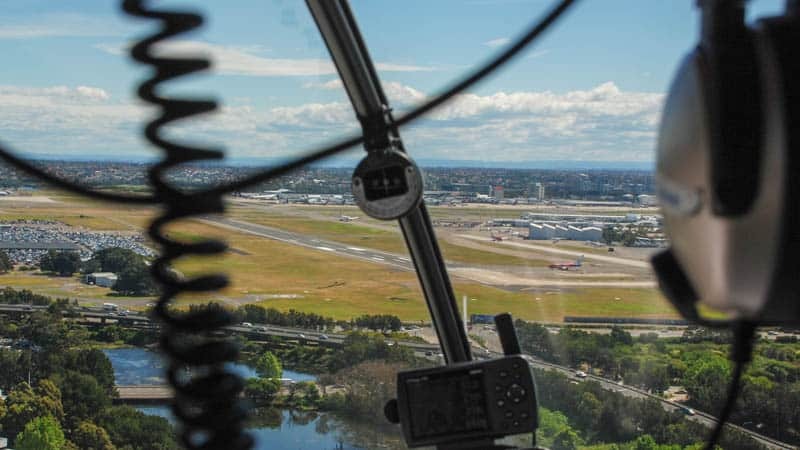 We offer a full range of scenic, charter and aerial work services from our base here at Wollongong Airport, ideally located in the heart of the Illawarra region of NSW, and less than 2 hours drive south from the centre of Sydney.